After over 60 years in business, Levypyörä has grown from its beginnings in a garage run by a pair of brothers to become an international specialist in steel products and wheels. Levypyörä’s roots stretch back to 1955, when the brothers Lauri and Reino Lemettinen started to make wheels for horse-drawn equipment in a garage in Järvelä, just outside Lahti. 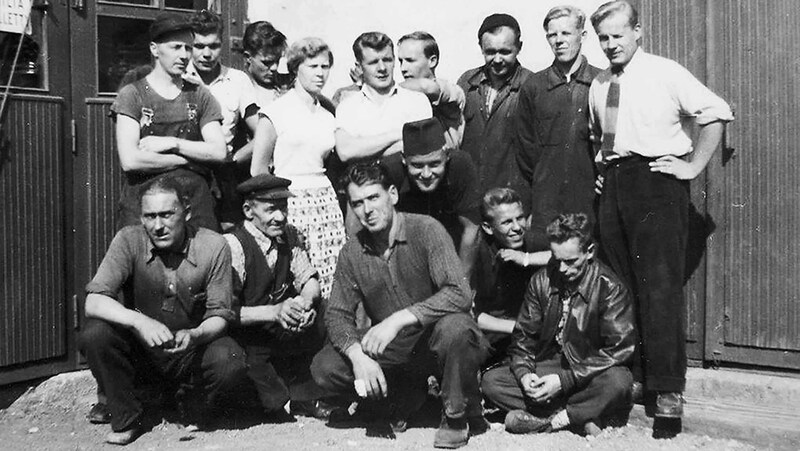 The name “Levy-Pyörä Oy” was first entered in the Trade Register on November 25, 1955, and in 1956 they moved to Nastola, where the company is still located to this day. The company grew steadily between the 1960s and 1980s, and naturally moved from making wheels for horse-drawn vehicles to making wheels for tractors and other machines used in agriculture. Among other products, Levypyörä made clothes mangles, and from the late 1950s to the 1980s, storage equipment for warehouses were also produced. During this period the company also manufactured parts as a subcontractor – mainly for Finnish customers. In 1991, a majority of the company was sold to Weckman Steel Ltd. from nearby Heinola, while the founding Lemettinen family was still actively involved. As the decade wore on, Levypyörä put a stronger emphasis on promoting its wheel products also outside Finland, and moved from simple subcontracts to partnerships, to become a supplier of machine-ready sub-assemblies rather than individual parts. Production facilities were modernized and expanded in the 2000s, and this was accompanied by growing exports. In recent years, production has become increasingly automated, so that the heaviest jobs are done by robots. We’ve also had our own product design right from the start to ensure the highest quality and cost-effectiveness of the products being manufactured. Today, LP Wheels are sold all over the world, while LP Steel focuses mainly on the domestic market.